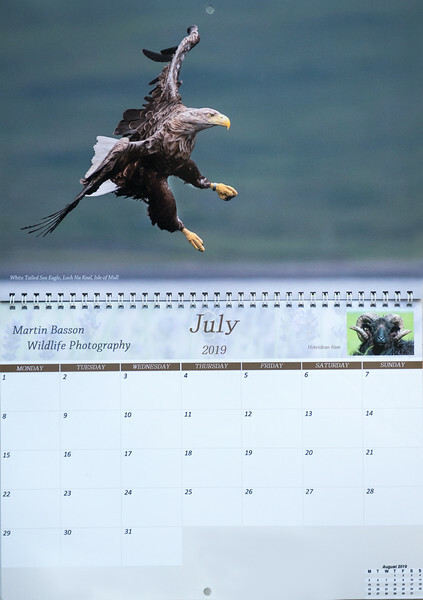 Our 2019 Calendar features a selection of photorgaphs principally taken in 2018. It is printed on A4 sized double sided photographic paper, and is therefore when opened approximately A3 in size (420mm x 297mm). All copies printed to date have been sold but further copies can be printed and made available at the price of £12. 50 plus p & p at £3.00, please E Mail us for details. 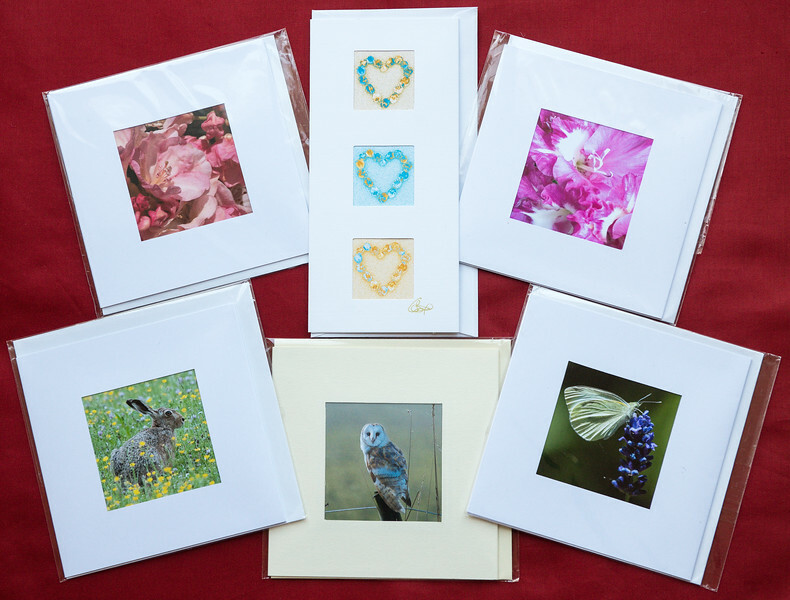 A selection of Cards is available inspired by our wildlife photographs. There is a variety of wildlife, flora and sea shore themed designs in white card. Each card comes with a white envelop all contained within a cellophane bag. Blank inside for your own message. Suitable for a variety of occasions. Square cards are 150 mm x 150 mm, tall cards 210 mm x 100 mm. Whilst the photograph below shows just 6 of our cards most of the photographs on this website can be incorporated into a card, for further information, or specific requests, please E Mail us.